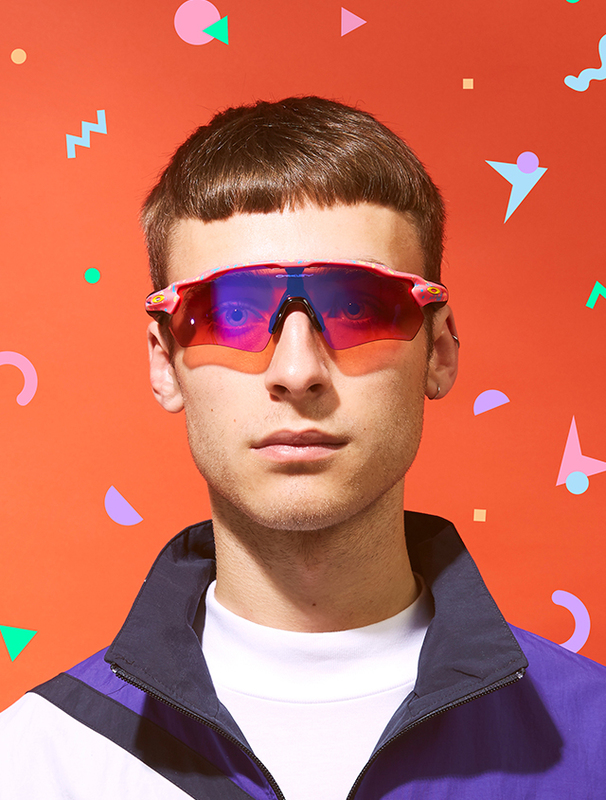 Popularised throughout the 80s and 90s and renowned primarily for their boundary-pushing cycling sunglasses, Oakley return this season – delivering an array of colourful makeovers to several of their signature styles. First up, a collection inspired by the brand’s original paint shop in the 1980’s, Oakley serve up their handcrafted Splatterfade Collection. Decorating their contemporary sunglasses with colourful paint splatters. The Jawbreaker is the first to get the application. A fully adjustable style, the pair boasts the brand’s Switchlock interchangeable lens technology, enabling quick and easy lens changing, as well as fully adjustable stems set to three lengths to ensure premium grip without interfering with your helmet when cycling. Next up, the equally innovative Radar EV receives the same bright and colourful treatment. Constructed with the same hardwearing O-matter plastic frame, the Radar EV is tuned with ventilation in mind. Their innovative frame is tailored to keep airflow away from your eyes, yet still keep you cool. 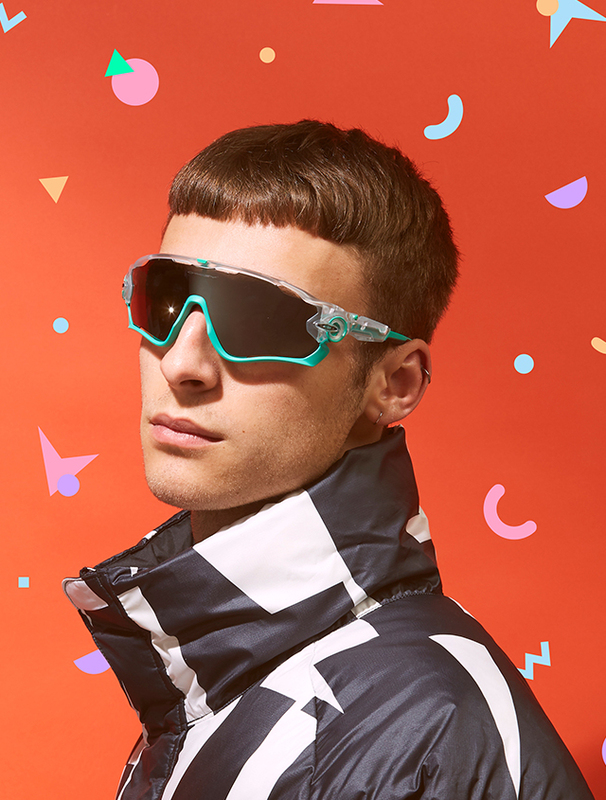 Both the Radar EV and Jawbreaker shades feature Prizm technology within their lenses, meaning colours are precisely tuned to maximize contrast and enhance visibility while blocking 100 per cent of UVA/UVB/UVC rays and blue light up to 400nm. Finally, for the Splatterfade collection, the Frogskins Lite’s semi-rimless design gets covered in paint. 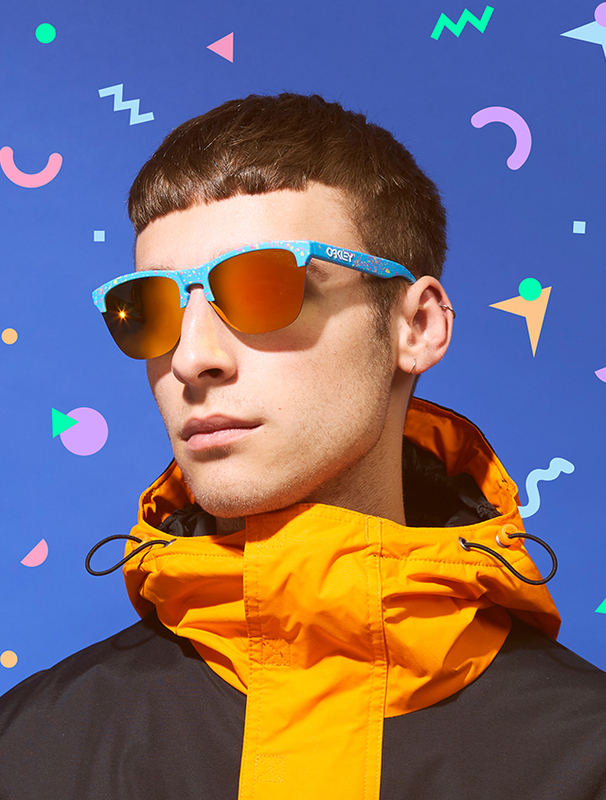 Again the Frogskins frame is constructed from Oakley’s patented O-matter plastic, with HDO technology within the lenses prevents image magnification while continuing to block 100 per cent of UVA/UVB/UVC rays and blue light up to 400nm. 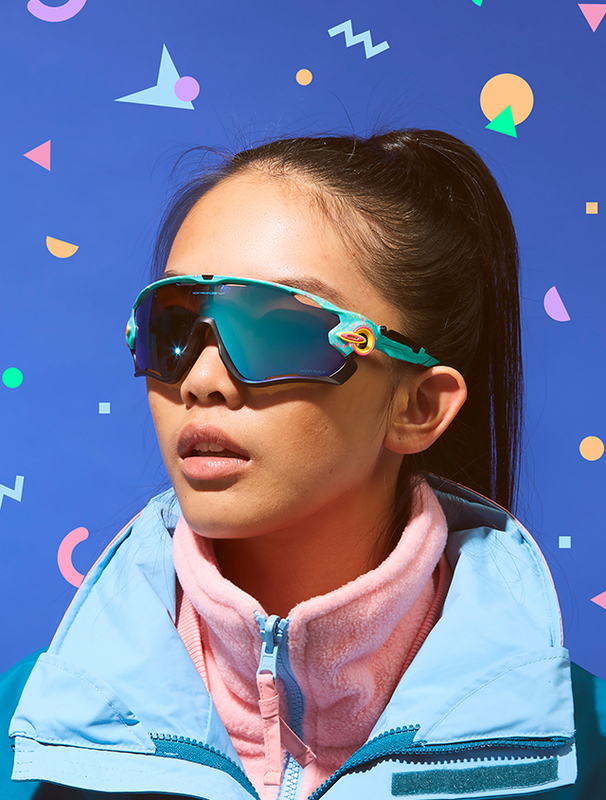 As well as the Splatterfade collection, Oakley continues their line of bright designs with their Crystal Pop Collection, inspired by the colourful hues you’d find at festivals. First to receive the vivid treatment is the Oakley Frogskins. 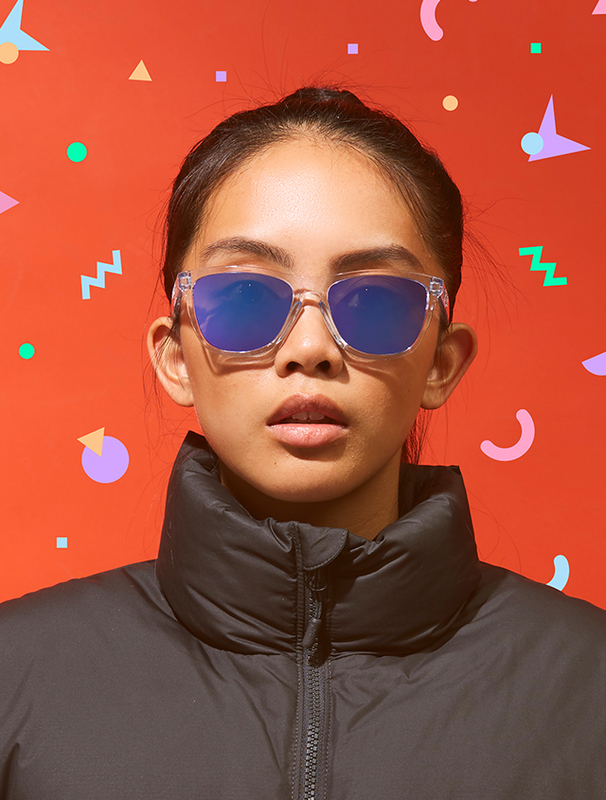 First released in the 1980’s, the Oakley Frogskins sunglasses are a signature staple from the Californian brand. In a design perfectly encapsulating the era, the pair arrives with a translucent O-matter frame and bright blue lenses for a striking style. Secondly, the Jawbreaker also gets a see-through release, with two different coloured editions. Both pair’s O-matter frames arrive in a translucent design for a simple styling with a green and blue iteration. Shop our full range of Oakley sunglasses, accessories, and apparel online and in selected size? stores.